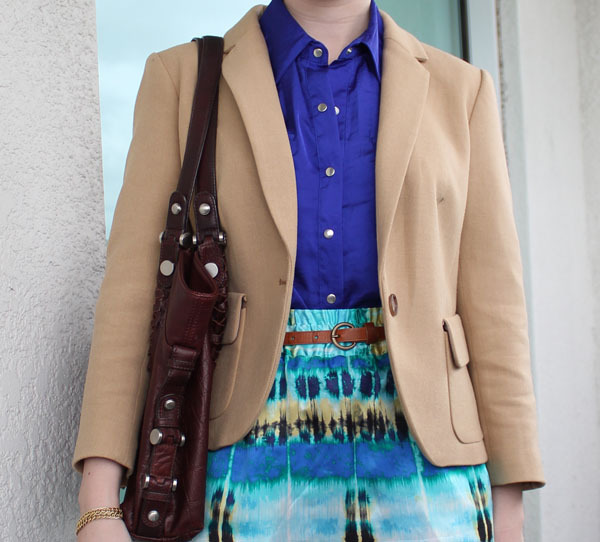 I don't think it would be even a little bit too much without the blazer, but I'm a color freak. Love the whole thing, right down to those baby pinstripes on your shoes! Can't wait to see pics of your place! That skirt is so pretty. Can't wait to see pictures of your new place too!